The whole European tug sector is trying to decrease towage costs as much as possible to offer better prices to the shipping companies and to satisfy the greed of shareholders. But once again all this, in the management intentions, has to be paid by the ones who concretely perform the towage operations: the workers. This downward spiral has to stop in The Netherlands and everywhere else in Europe and beyond! 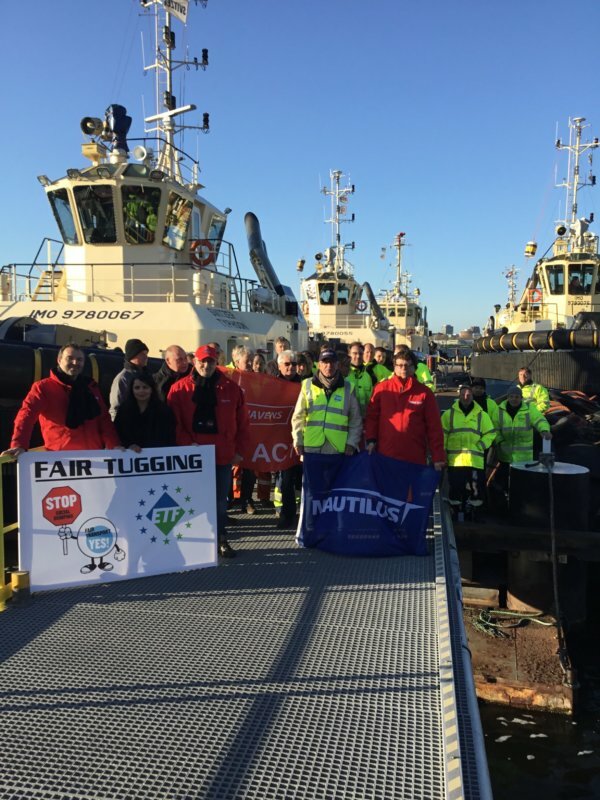 The tug workers from all over Europe stand together to oppose this race to the bottom that eventually will risk to jeopardise safe towage operations in a dangerous and delicate environments such as ports. President of the ETF Tug Committee Jacques Kerkhof and ETF Political Secretary for Inland Waterways Myriam Chaffart sent a solidarity letter to support Dutch tug workers in their fight for quality jobs and fair working conditions.